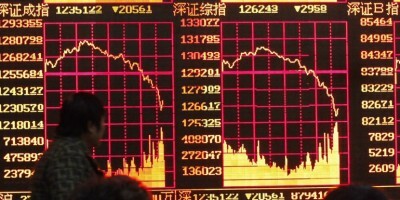 The Chinese stock markets had their worst day in eight years with the benchmark Shanghai Composite Index tumbling 8.49 percent to close at 3209.91 points. This is the steepest dive since Feb. 27, 2007, and comes less than a month after a similar plunge on July 27 this year, when the stock market lost 8.48 percent. The astonishing loss came one day after the government’s approval to allow the state pension fund to invest in the stock market, which analysts said should boost the market. Nearly 2,200 shares tumbled by the daily limit of 10 percent. 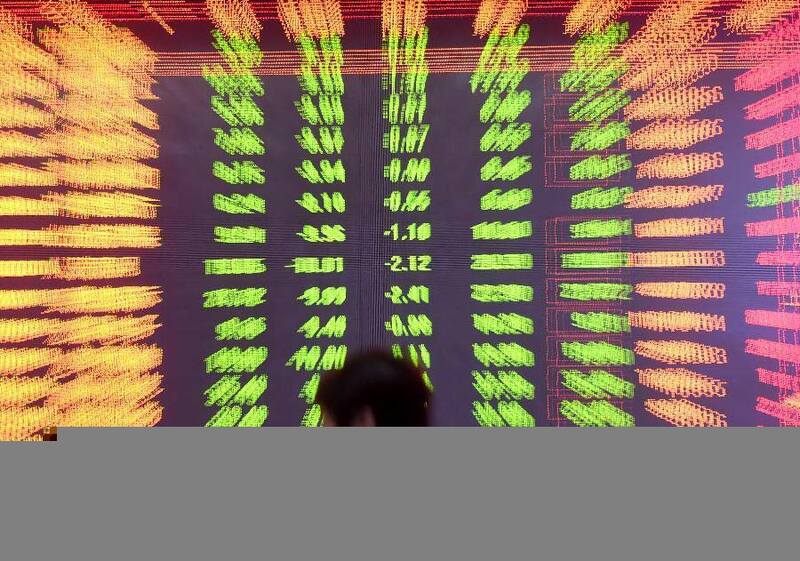 The overall loss was narrowed to around 6 percent in the afternoon as shares in blue chip companies, such as PetroChina and China Life Insurance, rose sharply. The index quickly fell back after 2 p.m.
Asia stocks across the board dived, too. The Hong Kong Hang Seng Index slumped more than 5 percent on Monday, its lowest point in 17 months. Japan’s Nikkei 225 Index closed down 4.61 percent, hitting a six-month low. Singapore’s Straits Times Index also tumbled almost 4 percent. Monday’s sharp decline almost wiped out all of this year’s gains, despite government intervention, such as pouring in funds and restricting sell-offs. In its latest move to prop up the market, pension funds were given permission to invest a maximum of 30 percent of net assets in stocks and equities. The pension fund is worth an estimated 3.5 trillion yuan, however, but it is still unknown at this moment how much the sector will decide to invest, said Industrial Securities in a research report. The report said that this entry by the pension fund is more of a psychological move by the government to assure investors that the A-share market is not an “abandoned child,” the report said. The future of the stock market still depends on the fundamentals. Overvaluation is one of the main factors stoking fears among investors, said Guolian Securities. The price-to-equity ratio of the ChiNext Index has been lowered but still stands at 76, similar to the level in November 2010, the highest point before this round of bull market. Weak economic data also dampened investor confidence. The Caixin flash China general manufacturing PMI retreated to 47.1 in August, the lowest reading since March 2009. The flash index is the earliest available indicator of manufacturing sector conditions in China. The continuous fall in the index in recent months indicates that the economy is still bottoming out, said He Fan, chief economist at Caixin Insight Group. As the market continues to struggle, speculation is rife over whether the central bank will cut the reserve requirement ratio (RRR), again. The China International Capital Corp. (CICC) predicts that the central bank will “aggressively lower RRR” by at least another 150 basis points by the end of this year. On Monday, the Shenzhen Component Index fell 7.83 percent to close at 10,970.29 points. The ChiNext Index, tracking China’s Nasdaq-style board of growth enterprises, lost 8.08 percent to end at 2,152.61 points.